Did you know that the Apple Watch was recently granted de novo classification requests by the FDA? Pretty exciting news for the medical device industry, which is experiencing a crossover of traditionally consumer goods and technology. For example, health insurance providers and wellness programs are starting to adopt such wellness products. So, expect more technologies to enter the medical device realm in the near future. In this episode, Mike Drues and I discuss this trend and related programs. Medical devices being used in a non-traditional clinical setting and by non-clinical professionals, which creates challenges for medical device developers. Usability is a concern because more medical devices are being used by untrained users with a lack of expertise. What’s the difference between a consumer vs. medical device? Regulations don’t distinguish a difference; what matters - intended use and who uses it. Regulations shouldn’t be technology specific, but broad. More regulations aren’t needed, what’s needed is a simpler definition of a medical device. FDA is challenged to keep up with the evolution of technology, but most regulations and the way people think tend to be timeless. Products need to be reliable and accurate, or more regulations will be implemented to address irresponsible companies. Programs are in place, including the Breakthrough Device Designation and Opioid Addiction Initiative, to enable non-traditional medical device technology. Does a product do what it claims to do to improve your quality of life? Regulatory risk can include weak medical claims. Intro: Welcome to the Global Medical Device podcast where today's brightest minds in the medical device industry go to get their most useful and actionable insider knowledge, direct from some of the world's leading medical device experts and companies. Jon Speer: I think we're at the cusp of something really exciting happening in the medical device industry, and I think we're starting to see this crossover, if you will, of products that are traditionally consumer goods, consumer technology, starting to enter in to the medical device space, based on indications for use, and claims and things of that nature. You probably have seen the exciting news about the Apple Watch getting De Novos granted by FDA in recent months and I expect there will be a lot of other technologies that we're going to see enter into the medical device realm in 2019 and beyond. And some of the other things that are starting to happen, as well as company wellness programs and health insurance providers are starting to also adopt these products for general wellness as well. So, I think you'll see a lot more news in the coming months and years about traditionally consumer good technology making their way into the medical device market. So Mike Drues and I from, Mike from Vascular Sciences and I talk about this trend and some of the programs that are in place, and certainly something you wanna keep your eye on. 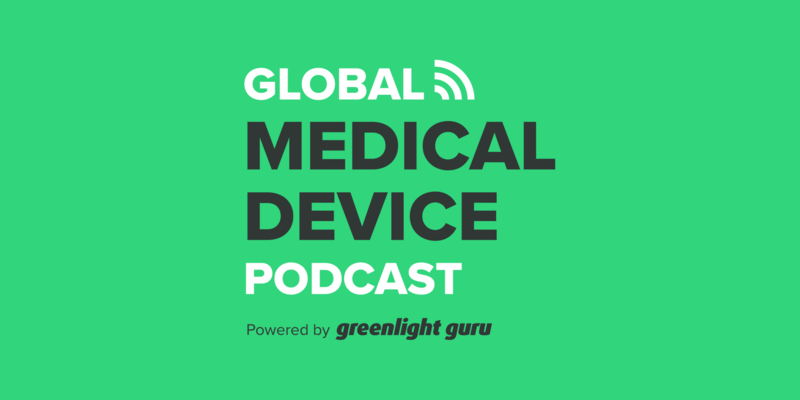 Jon Speer: Hello and welcome to the Global Medical Device podcast, this is your host and founder, and VP of quality and regulatory at Greenlight Guru, Jon Speer. And in the news lately, there's been a lot of activity, a lot of stories about technology, and specifically like health-related technologies and of course, there was the news with a couple of other consumer good devices that are now consumer technology devices rather that are starting to enter into the med device space. And there's even some talk from insurance companies and employers that are starting to adopt and embrace these health-related technologies as part of their wellness programs, and insurance reimbursement and things like that. So it's really kinda crazy, it seems to be moving really, really fast. And who better to talk about this from a regulatory perspective than my good friend, Mike Drues with Vascular Sciences. So, Mike, welcome to the Global Medical Device podcast. Mike Drues: Thank you Jon, for those kind words and I look forward to today's discussion as always. Jon Speer: Alright, so you and I have chatted both on the podcast and just in conversation about different technologies, different programs of the FDA to try to enable these sorts of things, and I suspect we'll dive into some of that today, but the... There's sort of the recent news that seems to, well, some have called it some sort of precedent, but Apple Watch now being classified as a medical device after getting two De Novos granted from FDA. What are your thoughts? Do you think there will be other consumer and devices, other consumer technology that's gonna follow this as a trend? Mike Drues: I think the short answer Jon is, absolutely yes, and Apple is a great example, but there are lots and lots of other examples and not necessarily recent. I mean, some of them go back a number of years. As we know, there's a growing trend to use more and more medical devices outside of the traditional clinical setting, outside of a hospital or a doctor's office in many cases, home use devices. So, the short answer is yes, we're gonna have more and more medical devices in that general category and devices that are used outside of clinical settings, and also devices that are used by non-clinical professionals. That is people that did not graduate from medical school, or dental school or nursing school. And as medical device developers those do pose a number of important challenges that we have to recognize. Jon Speer: Yeah, I mean, Apple's gonna get a lot of credit for leading the way. [chuckle] Maybe not exactly accurate as far as time and history are concerned, but nonetheless, obviously everybody knows who Apple is in the world. You talk about some of the challenges as from a development standpoint, can you maybe elaborate a little bit on what you mean and what some of those concerns might be? Mike Drues: As any good medical device developer, I would like to say Jon, would know already and we would not need regulation to tell them that, but unfortunately not everybody does. So that's just one example, but of course there are others as well. Jon Speer: Yeah. I mean, you just had any good medical device developer, but we're talking about scenarios where a lot of these companies do these devices that are... They're not medical devices first or consumer devices first, so we don't really know, or how well the medical device aspects have been factored into their development. Jon Speer: And of course, the regulations are known, but I guess, this brings another thought or question to mind, do you see that there is a gap? And I've talked about regulations, do we need more regulations and that sort of thing in the past, but considering now we've got these consumer technologies that are not med device first, now starting to cross over and become med device for different indications. Do you see that there's any sort of gap in the regulations that are out there? Mike Drues: Well, that's a great question, Jon, so let's dig into that a little bit. It's interesting that you differentiate and to be fair, I've heard many people sort of differentiate between a consumer device versus a medical device. And to me, quite frankly, that's a distinction without a real difference. As a matter of fact, the regulation does not distinguish between a consumer device versus a medical device either. Really, what it comes down to, I find it so interesting how so many people seem to have such a difficult time understanding whether some of these consumer devices or the growing number of mobile medical apps coming on to the market, how do you know if they're a medical device or not? Mike Drues: Well, the answer is actually quite simple. Does it fit the CODA Federation regulations' definition of what a medical device is? In other words, does it... Is it intended to diagnose, treat a disease, injury, condition, yada-yada-yada? So that's what all of this comes down to, who uses it, whether it's somebody who has graduated from medical school or not, whether you have to have a prescription to buy it or not, whether you can buy it in Walmart or you have to get it from some sort of a medical store or something or not? That really doesn't matter, what it comes down to is, does it fit that definition? And let's take as a very simple example, the Fitbit, right? Mike Drues: So, if you're providing information for heart rate, for example, is that a medical device? Well, nobody including the FDA can answer that question just based on the information that I've provided. It's impossible to answer. You have to look at the labeling. In other words, what is that heart rate information intended to be used for? If it's simply intended to be used as information for example, when the person... And notice, I'm not saying a patient, Jon, 'cause that's kind of bias, but when the person is exercising, if they wanna just make sure that their heart rate is within the target zone, so to speak, then that's not a medical device. However, if that heart rate is going to be used to say, well this particular patient has a heart rate of less than 60 beats per minute, therefore they have a bradycardia or if it's greater than 200 beats per minute, they have a tachycardia or something like that. Now, we're starting to use that information in a more medical, in a more clinical way, and that's when it starts to become a medical device. Does that make sense Jon? Jon Speer: It totally makes sense, absolutely. I mean, it's all about the indications, it's all about the claims, it's all about what you... Or the company intends for that product to do. And I'll be honest, I've never read the indications for use [chuckle] for a Fitbit, but there is a lot of this technology, I mean, it's... To your point, mobile medical devices or apps on phones, devices like Fitbit. I actually bought this device the other day. It's a little thing I wear on my finger. It has some sort of sensors, but it communicates with my phone, but I wear it at night to monitor the quality of my sleep. So, there are all these things, I mean, is that a med device? And it's somewhat rhetorical, but to the point that you and I have talked about before, not that FDA is ahead of the curve so to speak, from the advancement of technology, I feel like there is a divide between how quickly technology is advancing and how well the regulatory infrastructure is. But at the same time, there are guidance documents about general wellness devices or guidance documents about mobile medical applications, and there are the pre-certification program, and all these other things. So, is it your opinion that regulations are more than sufficient to address this onslaught of new technology venturing into that med device realm? Mike Drues: Well, once again Jon, that's a terrific question and thanks for the opportunity to talk about this a little bit with you and your audience, because these are all very important issues, not just for those of us working as professionals in the medical device industry, but as consumers of healthcare in our society as well. We have a vested interest in all of this. So, I'm often reminded of what the French philosopher, I can't remember his name, said, "The more things change, the more they remain the same." I... You asked an interesting question, do we have enough regulation or do we need more do, we need less? Mike Drues: This is a topic that we could spend an entire podcast just talking about in and of itself, but I believe that true... Sorry. I believe that good regulation is timeless. In other words, I believe that regulation should not be technology-specific. Regulation should be broad, should be general, kinda like the design controls, Jon, as you and I have talked about many times, the design controls, the guidance goes back to 1997 and some people have said that 20 years later the FDA should update that. And I say, absolutely not. Jon Speer: Yeah, no way. Mike Drues: And that relation is... Thank you. Mike Drues: Einstein, very smart guy. Einstein said, "If you can't explain something simply you don't understand it well enough." So, perhaps if anything, what we ought to do is see if we can come up with a better, perhaps, a simpler definition of a medical device because unless and until people have a better understanding, we're gonna continue to have confusion. I have companies coming to me every single week, "We're developing this particular kind of a product. Do we need to take this to the FDA or not?" And a lot of that stems from the ambiguous nature of that definition. Jon Speer: Totally agree. The folks that... I'll try to find that definition and we'll put it, we'll share it in the text that accompanies the podcast but it is very, very complicated. I've worked in this space for 20 years. And some things are head scratchers for sure. But to your point, I think that a lot of the regulation, maybe all the regulation that we have, well, I better not to say all, but at least the vast majority of especially around things like design natural, it's somewhat timeless, of course, best practices evolve over time. But there are some who I've even read some articles from some other "Regulatory experts" that are making this claim that the FDA cannot catch up with the evolution of technology which is kind of a different problem. I don't think that that person was necessarily a speculator suggesting that we add regulations but maybe there was something else that they have in mind. Do you have any? Would you care to speculate as post? Mike Drues: Well, to be fair, Jon, of course, FDA has a challenge to keep up with technology, let's face it. Anybody in this industry. I personally have a PhD in biomedical engineering. I've been working in this field and for almost 30 years now, and I have a challenge in keeping up with technology. [chuckle] I mean, it does change, but as I said, the more things change, the more they remain the same. But I don't think that's the problem here because technology is always going to be advancing. That's a given, what doesn't change nearly as quickly is people's thinking and I think that's perhaps to use the engineering phrase the root cause here. So let me give me a couple of examples all from this area of whether you wanna call them general wellness devices or consumer devices, or again, I don't think it's productive to get into the semantics of the terminology here. There was a blood pressure app that was brought on to the market about two years ago that was in the news a lot because it apparently reported blood pressure correctly only about 20% of the time, which meant that about 80% of the time, it's wrong. Mike Drues: Now you can imagine that if a person is using that app to monitor their blood pressure and then they use that information in conjunction with their doctor to modify the medication that they're taking to increase the... Or decrease the dose of a drug based on information coming from that device that's wrong, you could imagine the consequences. This is exactly analogous to insulin monitors for example. Glucose monitors and there have been a number of these kinds of devices that are inaccurate at best. I mentioned FitBits earlier, Stanford last year, did a study where they looked at about seven different fitness trackers and six of the seven were reported to be accurate, but within about 5% accuracy, the 7th one was not. There's a lot of examples and as I've said before, Jon, there's no better way to ensure that we're gonna have more regulation in the future, not less, but more regulation in the future than quite frankly if companies bring crappy products out into the market. Mike Drues: So whenever we have a product that's regulated by FDA, or not, it does not excuse us from making sure that this product is reliable, this product is reasonably accurate, what exactly does accuracy mean? Does it have to be within 1% within 5% within 10% of course, that's subject to interpretation but nonetheless, we have a responsibility to develop these products with a reasonable degree of accuracy, and the more companies don't do this, the more regulation, the more FDA oversight we're gonna have. And believe me, Jon, as a proud medical device professional it pains me to say some of these things, but unfortunately, there are some in our industry, I guess, there are always one or two bad apples in the barrel, that kinda make it difficult for all of the rest of us [chuckle] that are doing this. Jon Speer: And even from some perspective De Novo programs, they're all in place as vehicles or mechanisms for... That Theoretically should help enable technology that's traditionally not med device to figure out that pathway. Even the pre-submission which you and I have talked about in the past. Mike Drues: So this is new for a lot of people. The pre-certification program, I think, still relatively new, but I think potentially it's a good idea. The way I like to describe that to people is you're essentially certifying the people or the company as opposed to the actual device. I think that makes a lot of sense. Mike Drues: So there's a lot of these different programs and it's incumbent on us working in this industry to be aware of these, so that we can take advantage of them when they're appropriate. Mike Drues: Some of these Jon comes down, comes back to FDA resources... You mentioned can FDA keep track of all of these things. Well, just in the area of mobile medical apps, alone, there are some 165,000 health and wellness apps on the market. Let's be honest Jon, nobody including the FDA can parse through that list one by one and say, "Is this a medical device or is it not?" And one of the big problems we've talked about the wellness exemption this is another area that I do an awful lot of work in, one of the significant problems that we have in this area and I've pointed this out to the agency many times, it still has not been fixed, there is no mechanism in place where a company can go to the FDA proactively and say, "Here's our device, this is what it does, this is the way that it works, this is our labeling and so on, we believe it fits under the wellness exemption. Do you concur?" There's no mechanism in place to allow a company to do that. Jon Speer: Let me, and if you don't mind, let me expand upon that a little bit because the scenario that Mike just described is, or postulated a bit is if there was a mechanism for a company who had a general... What they believed to be a general wellness device, they built their case and they shared that with FDA for a decision yes or no, then that would determine sort of those next steps. But because there is not that step in place, there's kind of two things that happen. One is that a company may say they may err on the side of being a more of, I don't know if the word conservative, is correct here, but they're more conservative, and actually consider themselves as a general wellness med device go through in the process and maybe eventually submit a 510(k) and so on so forth. Mike Drues: As long as you understand what the risks are... Right? Mike Drues: But that... That is the strategy. Mike Drues: I can give you an example, Jon, and let's say, I don't wanna put you too much on the spot here, but let's say a company, he came to you and said, "We're in the sock business." The kind of socks that you wear on your feet and we have these new socks, and we wanna know from you "Do we need to take these to the FDA? In other words, could we bring them on to the market without FDA oversight I.e., the general wellness exemption. Or would we have to have treat them as a medical device would we even need to get a 510(k)?" How would you respond, Jon? Jon Speer: "Mike, what do these socks do?" That's the first thing I have to have to ask. Mike Drues: Well that's in fact the exact question that we want to ask. Or to be a little bit more precise, it's not exactly what do they do or how do they work, but what do we want to say? Mike Drues: So this comes back to the label claim. So if you make general wellness claims most of your audience are probably familiar if you go into a CVS or a Walgreens, or even a Walmart, you'll see different kind of socks labeled as energy socks and other kinds of things. So if you make a weak claim like decreasing swelling or increasing circulation or decreasing fatigue or something like that, then those are what I call weak medical claims. And those can most likely be marketed legitimately without any FDA oversight under the wellness exemption. However, the exact same sock if you were to make a slightly stronger medical claims like decrease the likelihood of thrombus or blood clot, decrease the likelihood of deep vein thrombosis or DVT pulmonary embolism, those now are much stronger claims and to make those kind of claims without going to the FDA first, would be a little more of a regulatory risk. Just as in terms of examples, Jon believe it or not, there are three product codes, listed in the FDA database specifically on socks, two of them are Class 2 LLK and DWL, those are both... Those are not 510(k) exempt. There are about 70 pairs of socks or 70 models of socks. I guess you would call it, on the market that have 510(k)s. And even in the Class 1 world, there's one product code for socks, that's Class 1, but it is also non-510(k) exempt, there's about a half a dozen socks that are listed under that particular product code. Mike Drues: So something as seemingly benign as socks, there are a lot of socks, believe it or not, that have 510(k)s.
Jon Speer: No, I believe that. I mean, you mentioned DVT, that's a big deal. [chuckle] And so these are high-tech socks that we're talking about. And folks, as a consumer, I'm personally, I'm pretty excited when you start to think about companies like Apple entering into the med device space. You're hearing things about Amazon and Google, we talked about Fitbit, Bose has a hearing air device that they're in some process of bringing to market. I know of other companies who are embedding electronics and sensors into different fabrics, whether it be shirts, or compression materials, or what have you. So this technology will continue to advance. And as a consumer, theoretically improve my quality of life. So it is an exciting time but... Also to the point that Mike and I are talking about, it can be a scary time, as the flip side of me [chuckle] as a 20 plus year med device veteran I'm like, "Alright. What did the company, what did this company do to evaluate safety and efficacy?" 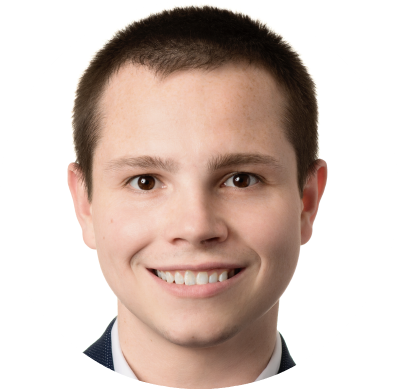 Jon Speer: And I start to... Like a nerd, I go to the FDA website, like I wonder if this company has 510(k), or if they've registered their product as a medical device, and if so, what was the product code and the regulation and all these sorts of things. So it's... Sometimes I wonder if my knowledge helps me or hurts me on things like this. Mike Drues: I have that problem myself frequently Jon. So if I can I try to simplify this as much as I can, as we start to wrap this up, perhaps it will help you as well as the audience, to maybe decouple the technology from the regulation a little bit. In other words, as we've talked about, technology is advancing there's no question about it. But the regulation not so much. And so as I said earlier, and I strongly believe this, good re-regulation is independent of time, it is also independent of technology. Mike Drues: So really what it comes down to is whether you were talking about the Apple Watch, whether you're talking about one of these 165,000 mobile medical apps, whether you're talking about a Fitbit or even something as seemingly simple as a pair of socks, what it really comes down to is one central question. And that is, does it fit the CFR definition of a medical device? If you think it does, then most likely you need to take it to the FDA. If you think it does not, then most likely, it doesn't. But the point is you have to go through that analysis. So that's all sort of message number one and message number two. And I know we've talked about this before, Jon, regardless of whether you have to take your product to the FDA, or not, that's not an excuse to do sloppy engineering. I regrettably, and once again, I take absolutely no pleasure in saying this, there are a few companies, granted not many, who have come to me and asked me to help them with their particular medical device and I have had to say to them. "I'm sorry I can't help you." Usually I make a convenient excuse "I'm sorry, I'm just too busy. I can't help you at the time," but often times that's a polite way of me saying that with all due respect your medical device is a bunch of you know what, or you're trying to use the general wellness exemption is simply an excuse to get around going to the FDA, and that's problematic. Mike Drues: So those are just a couple of takeaway messages that I would share with the audience Jon, what words of wisdom would you leave us with? Jon Speer: Yeah, so I know a lot of you folks out there listening, you may be in this space where you're "Non-traditional med device technology type of product," definitely heed Mike's advice and as Mike pointed out, a little bit today, and I'll point out even more, he's the best in this market as far as regulatory strategy and he knows all of the programs and the opportunities and the pathways. And so, if in any way, shape, or form, you think that you're going to be a fringe case or have some interest in exploring different options, Mike is your guy. He knows all of the programs at FDA, and other regulatory pathways in other markets as well. 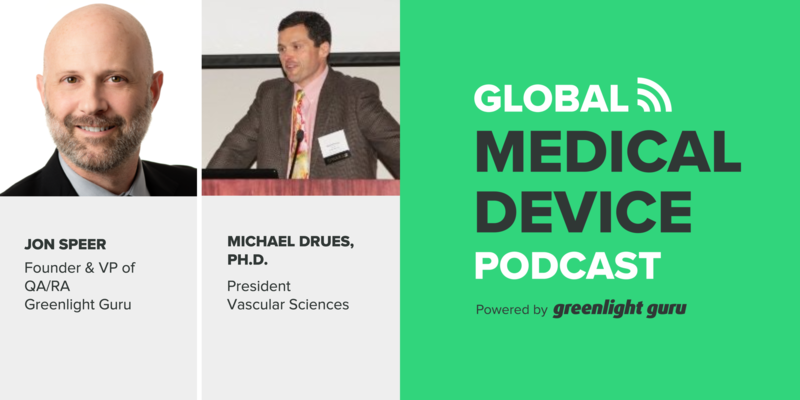 So reach out to Mike Drues of Vascular Sciences. Jon Speer: But my advice or my take home is for those who are listening, who may be more traditional, I'll say bread and butter med device companies who look at other industries as Not Invented Here sort of. I think sometimes those of us who have been in the medical device industry for any period of time, we... I don't know, we have a certain air about us. And I'm generalizing of course, but... And what I mean by that is sometimes we say, "Oh, that company over there, they make cars" or "This company over there they make consumer electronics" or "This company were there, they make software" or whatever the case may be, and we almost discount them as having contributions to the medical device industry. Folks, we have to embrace what these other companies are doing because a lot of these companies, their technology is advancing very, very quickly, they're state of the art, they're leading edge and we should learn... Take an opportunity to learn from what these companies are doing and how creatively they are applying technology. And there's something that we can apply from those best practices outside of the medical device industry, and bring those into the medical device industry, then I think we're all going to be better off for that. Jon Speer: No, you always deliver. Mike Drues: I live up to those expectations. Jon Speer: You always deliver Mike. And once again, thank you so much for being a guest on The Global Medical Device Podcast. Folks if you want to figure out how to adapt your design control, risk managment, we've talked a little bit about that today, what does that mean essentially, how are you managing your product development efforts and are you doing so in a way that's good prudent engineering. Well, I would encourage you to go to www.greenlight.guru, learn more about the Greenlight Guru eQMS software platform. And for the... Especially as you start to commercialize these products there are things that you need to address in a quality management system, and I'll just say we've got you covered, we built that into the platform, so that you can continue to focus on advancing your technology and have assurance that your eQMS platform is state of the art and up to date with the latest, greatest thinking from a regulatory perspective. So be sure to go check out Greenlight Guru. And folks, continue to listen to The Global Medical Device Podcast. Every couple of weeks or so, there's a new exciting topic that we're covering. So appreciate that and continue to spread the word. And you've been listening to the Global Medical Device Podcast.